D Nick Ross (Regina, Kamloops, Vancouver, 2004-09) has signed a one-year contract with Zvolen (Slovakia, Extraliga). This season, with Innsbruck (Austria, Erste Bank Liga), he had seven goals and 25 assists in 50 games. The San Francisco Giants are riding what Major League Baseball says is a 517-game sellout streak. But if you watch their home games at AT&T Park you will see lots of empty seats. Still, the Giants have announced a sellout for every game they have played since Oct. 1, 2010, including Friday’s night’s ?? victory over the Minnesota Twins. Which brings us to the WHL. Fans of many WHL teams are used to attending games, hearing the announced attendances and knowing that the number is greater than the number of bums in the seats at those games. Still, it’s interesting to see the difference between the announced and actual attendance figures when the opportunity to look at such numbers presents itself. Take the case of the Spokane Chiefs. 59,545 fans between the announced attendances and the scanned attendances at 40 Chiefs home games from Jan. 9 to Dec. 30. The SPFD operates the Spokane Veterans Memorial Arena, the home of the Chiefs. The WHL’s 2016-17 Guide lists its capacity at 10,366. For those 40 games, the total announced attendance was 234,989, while the number of scanned tickets was 175,444. According to the announced attendances, the Chiefs had three crowds larger than 9,000 in that calendar year, each of them for a visit by the Tri-City Americans — 9,839 on Jan 30, 9,534 on Feb. 20, and 9,352 on March 11. The scanned attendances, however, were 8,128, 7,578 and 7,303. For this season’s home-opener, against the Americans, the Chiefs announced a crowd of 8,108. According to the SPFD report, the scanned attendance was 6,446. The Chiefs played 21 games from Oct. 1 through Dec. 30. The total announced attendance was 113,138, while the scanned attendance was 82,243, a difference of 30,895. BTW, have you ever wondered how much revenue is generated by alcohol sales at WHL games? I don’t know if Chiefs’ games are typical, but their 40 home games in 2016 brought in $238,928 in booze sales, with $109,907 of that going to the team. Concession sales totalled $252,495, with the team’s cut $116,148. Parking generated $168,151, with the Chiefs getting $62,766 of that. 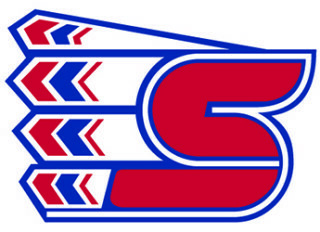 The Chiefs didn’t make the playoffs this season, but were there in the spring of 2016 when they had three home games against the Victoria Royals. The announced attendances were 3,544, 3,612 and 3,104, while the scanned totals were 2,288, 2,416 and 2,347. The Royals won that best-of-seven first-round series, 4-2. In the 2010 calendar year, the Chiefs played 38 home games. The announced attendance was 243,202, while the turnstile count was 198,592, a difference of 44,610. In 2011, the difference for 43 games (285,142 versus 227,911) was 57,231. For 43 games in 2012, the difference was 54,623, with announced attendances totalling 282,294 and a turnstile count of 227,671. In 2013, the announced attendance was 251,770, with a turnstile count of 198,675, a difference of 53,095. In 2014, the discrepancy was 12,925, the smallest for the seven years for which Taking Note has figures, after the announced attendance total was 227,293 and the turnstile count was 214,368. In 2015, the announced attendance was 231,135 against a turnstile count of 169,089, for a difference of 62,046. For the past seven calendar years, the Chiefs have overstated their actual game attendance by 286,844 fans. The Chiefs, of course, aren’t the only WHL team that has a discrepancy like this. In April 2016, Bob Mackin reported in Business in Vancouver that the Vancouver Giants had an average announced attendance of 5,169 at Pacific Coliseum for the 2015-16 season, but the real average was 3,332. The Giants left Pacific Coliseum for the 5,276-seat Langley Events Centre prior to this season. In his story, Mackin quoted a report by Prof. Christopher Keshock of the U of South Alabama, who had done an attendance study of the 2015 Senior Bowl NCAA football game in Mobile, Ala. The Victoria Royals have scheduled a news conference for Monday at which they will “announce our new head coach and other changes in our hockey ops department.” . . . The new head coach will replace Dave Lowry, who left after five seasons to join the NHL’s Los Angeles Kings as an assistant coach. . . . The Royals will be the fourth of the WHL’s 22 teams to sign a new head coach this off-season, while the Calgary Hitmen have yet to replace Mark French, who left after three seasons to coach in Switzerland. . . . The Everett Silvertips signed Dennis Williams to replace Kevin Constantine, whose contract wasn’t renewed. . . . The Kootenay Ice signed James Patrick earlier this week to replace Luke Pierce, who was fired by new owners after two seasons there. . . . The Spokane Chiefs introduced Dan Lambert his week; he takes over from Don Nachbaur, the head coach for the previous seven seasons. The third annual Ryan Donaldson Memorial Hockey Tournament is on this weekend at the Langley, B.C., Sportsplex. There are 100 players registered on eight teams. . . . “The Donaldson family started the tournament to raise awareness about concussions and mental health — subjects near to their hearts,” Gary Ahuja writes in the Langley Times. “Ryan suffered at least three major concussions and shortly before he took his own life, he had exhibited significant changes in his behaviour.” . . . Ahuja’s story is right here and it’s well worth reading. . . . You also may want to check out an app that was created by Ryan’s sister, Kirsten. That app is right here, and it includes all the info you’ll need, including where and when for beer-and-burger night, and a link to a spot where you are able to make a donation. The Regina Pats have signed F Rayman Bassi, 17, whom they listed during this season. The 5-foot-11, 175-pound Bassi is from Kelowna. This season, he had 16 goals and 33 assists in 40 games with the Kelowna-based Okanagan Rockets of the B.C. Major Midget Hockey League. The Kootenay Ice has signed D Anson McMaster, who was a second-round selection in the WHL’s 2017 bantam draft. From the Sikiska Nation, Alta., the 6-foot-4, 175-pounder this season had 15 goals and 24 assists in 36 games with the Rocky Mountain Raiders of the Alberta Major Bantam Hockey League. The NHL’s Vegas Golden Knights have added former Brandon Wheat Kings captain Ryan Craig to their coaching staff. Craig, 35, joins head coach Gerard Gallant and assistant coach Mike Kelly with the Knights. . . . Craig, who is from Abbotsford, B.C., has retired as a player after a 14-season pro career that included 198 NHL games. He played the past two seasons with the AHL‘s Cleveland Monsters. . . . He played five seasons (1998-2003) with the Wheat Kings, who are owned by Kelly McCrimmon, the Golden Knights’ assistant GM. . . . Kelly was the Wheat Kings’ head coach for part of one season. . . . The team’s front office also includes Vaughn Karpan, the director of player personnel, and Bob Lowes, the assistant director of player personnel. Both have ties to the Wheat Kings, Karpan having played for them and Lowes having coached them.